True Blood Vinyl Figurines & Cook Books! I know Eric… It’s a sad sad day… However, if you wish to celebrate the success of the series in its closing days, Funko and HBO Global Licensing have announced this awesome a new line of True Blood Pop! Vinyl Figures! Sookie, Bill, Eric, Alcide, Lafayette & Pam are all available from www.hboshopeu.com at £8.99 each, so you can keep a little memento of your favourite character with you always. True Blood Pop! Vinyl Figures! 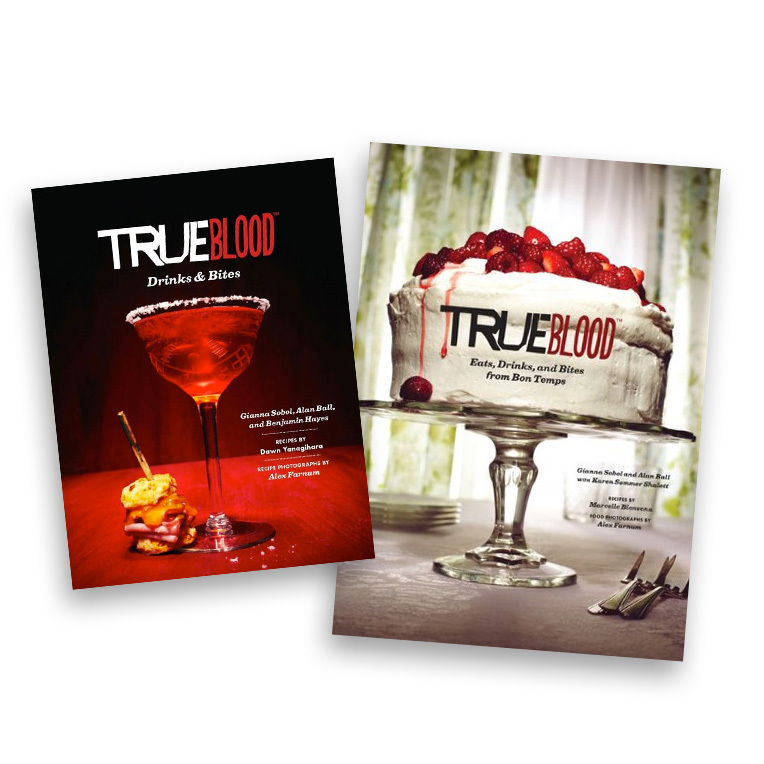 Or, if you want to get some friends together, why not throw the mother of all True Blood themed parties, with the help of the True Blood Drinks & Bites and True Blood Eat’s Drinks & Bites cookbooks, also available from from the HBO Shop. The books are full of amazing (and tasty) True Blood themed recipes, from ‘Dead on the Beach’ & ‘Bon Temps Bloody Mary’ cocktails to tasty US southern style food like ‘Stuck in My Craw-fish Fritters’, ‘Brujo Burgers’, ‘Get You Some Wings and Fly Away’ or ‘Wipe Away My Red-Eye Gravy over Ham Steak’. The books are also full of some great photos of the sets and characters from throughout the series, so it’d make a great gift or collectors memento for any True Blood fan. For these and more True Blood related goodies, head over to www.hboshopeu.com. ← Rookie Blue Season 4 – Out to own on DVD 1st September!